Real estate development company wanted to provide the tenants of its building complexes with a platform to automate the interaction between residents and concierges. The automation should increase the coherence of work of concierges in the buildings, ease the onboarding process for the residents and help tenant community to socialize. Create a parallel digital social environment that enables a community co-operation and friendly atmosphere. Main focus: real life interactions, social events, group activities etc. Enrich tenants’ living experience via a comprehensive suite of smart home technologies. 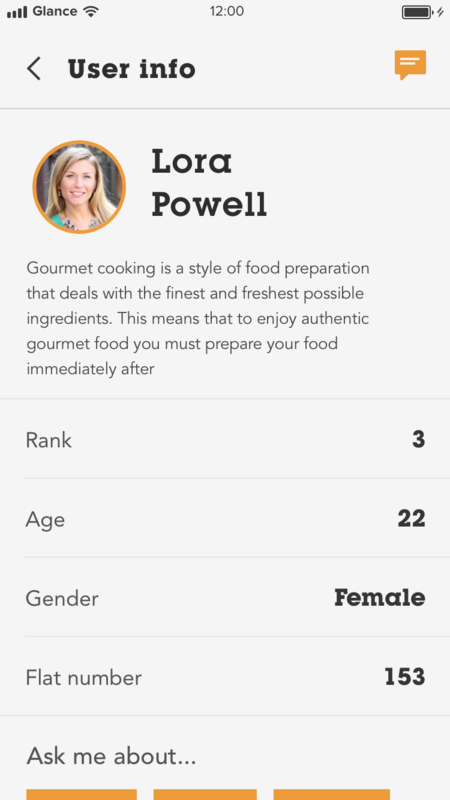 Bring the wider community into reach via a service and amenities discovery component within the application. iOS: Swift 4, Firebase Cloud Firestorage, Google Maps, Swagger Codegen, Auto Layout, Storyboard. Firstly, we had to setup an architecture based on the initial requirements from client. There we’ve faced the challenge and used to diversify admin roles to conform the complexity of the system. 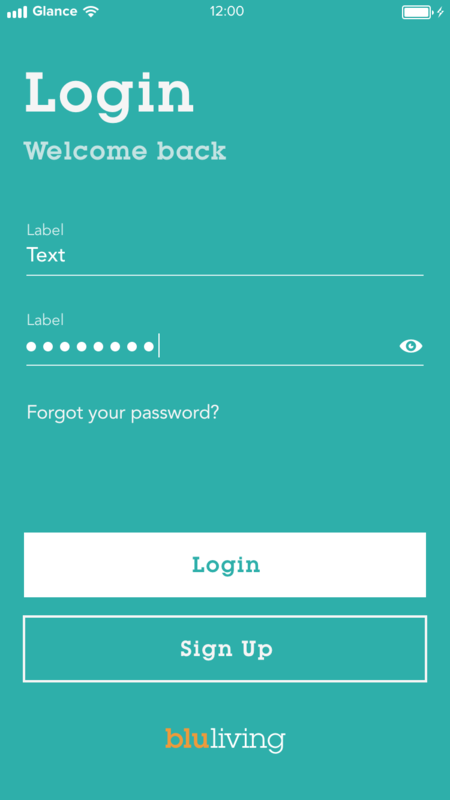 After this, we’ve started with web and mobile development, adding more and more features from iteration to iteration. 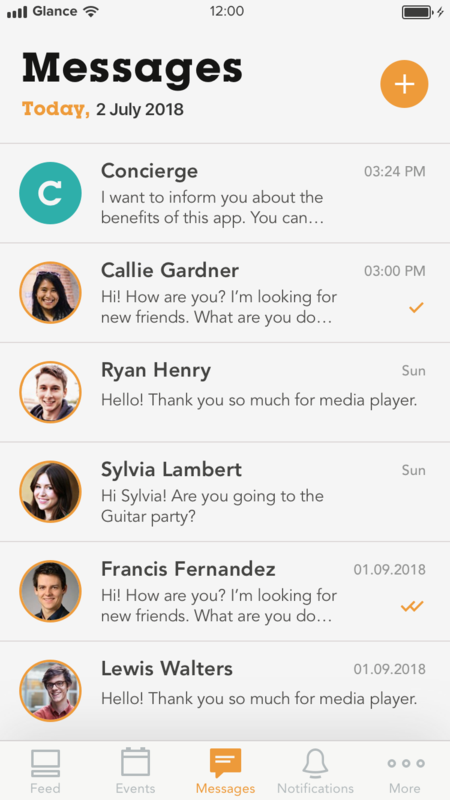 To implement a real-time messaging, it has been decided to setup the Firebase service. 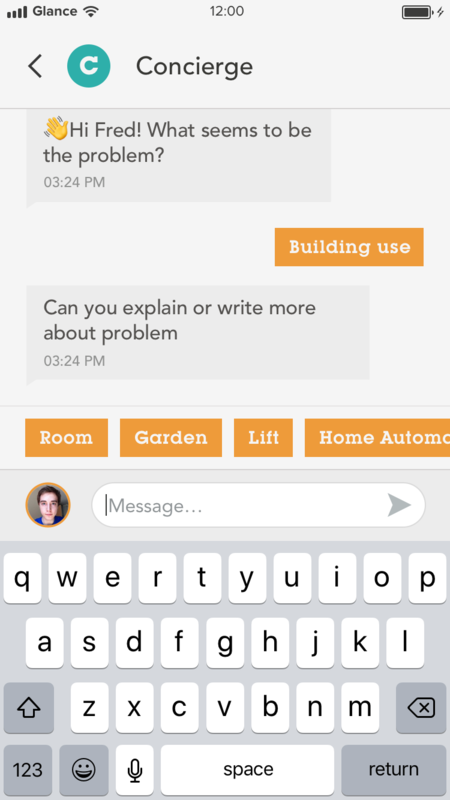 To cover the cases when residents have no concierges in their buildings but there is a need to help residents with solving their issues, we’ve added a chatbot functionality with the help of DialogFlow service. 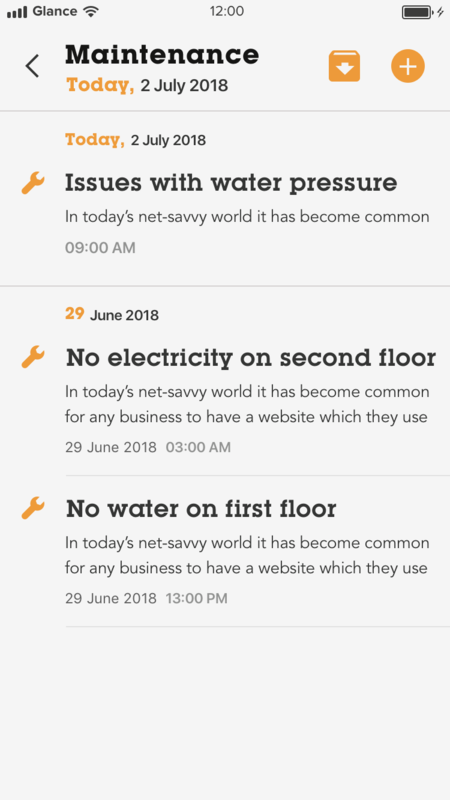 Sprints have been provided with a daily communication by a managing team. Based on the requirements from client we’ve faced the first challenge as a non-hierarchical system of admin user roles couldn’t conform the complexity of the rest system. 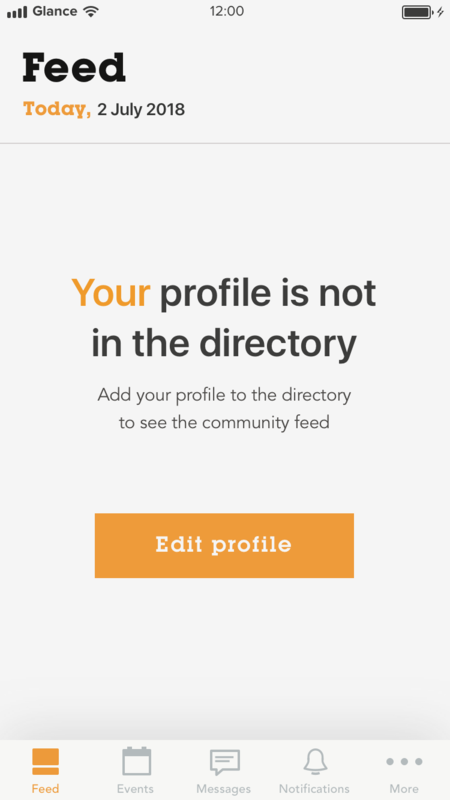 So we diversified them to 3 main levels, included type difference of public or private profiles. The feature turned out to be quite complicated as it required a deep investigation of Zipato, the 3rd party service used for the feature implementation. 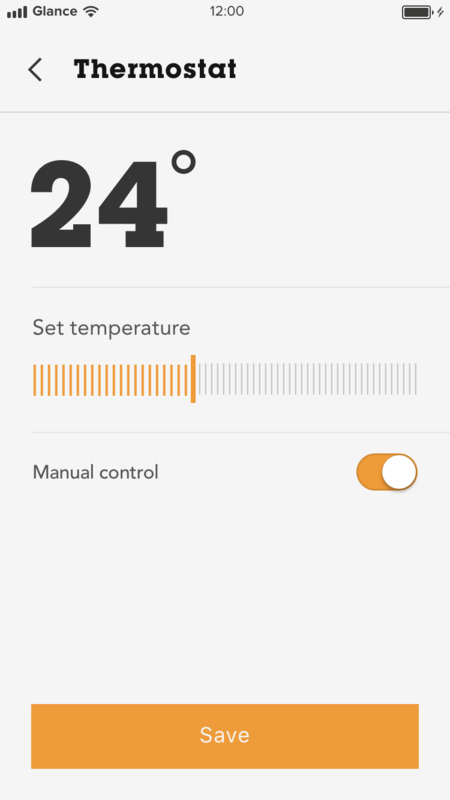 Several requests and several models on the backend were needed to manage the home automation device: though there is API for Zipato, it's not documented well enough for our needs (there are various requests there, but mostly there is no description for them). During a communication with client and Zipato supplier we've discovered the best way of the service integration into our apps. 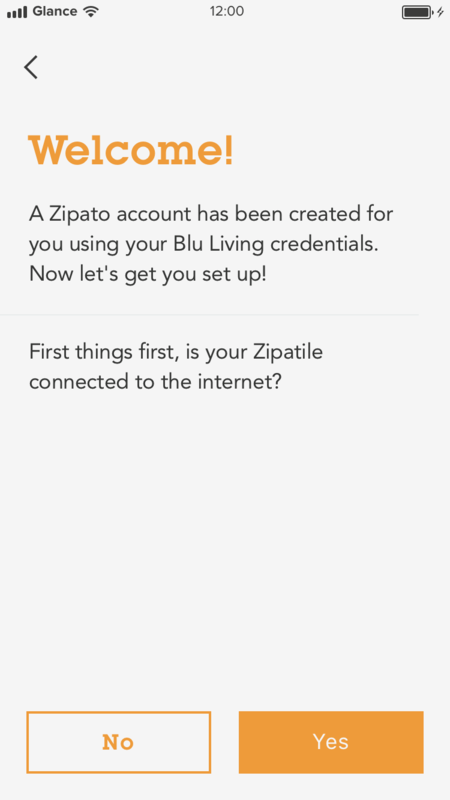 We've provided residents with ability to interact with the Home automation system with no need create or manage their accounts in 3rd party service - all necessary actions like registering a Zipato account, connecting a home automation device with a BluLiving account are processed automatically. We’ve developed a complex solution that provides BluLiving residents and concierges with an ability to communicate and resolve issues operatively. 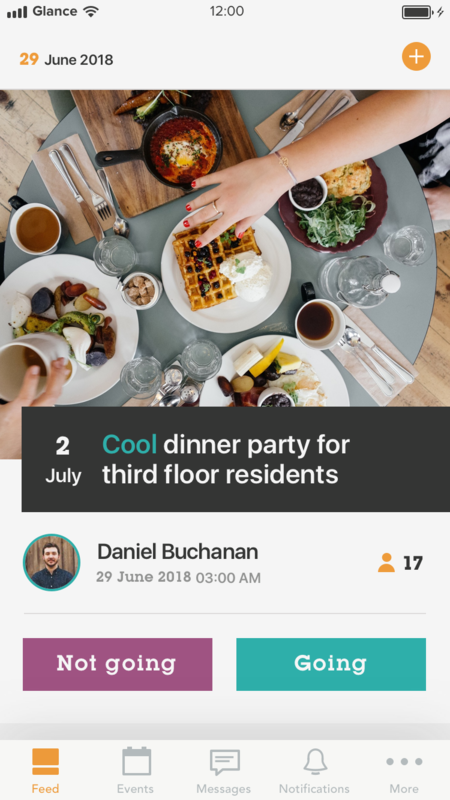 No matter which platform is used by tenants, the solution allows Android and iOS users to select the level of social involvement they want: user can interact with the app passively without adding his profile to a general directory or interact with concierges or other residents freely.